Demna Gvasalia’s VETEMENTS is all about the outrageous. From exaggerated cuts to quizzical logos and extreme price points, VETEMENTS is high-fashion-sans-seriousness, cleverly poking fun at the establishment while somehow also serving as an influential part of it. 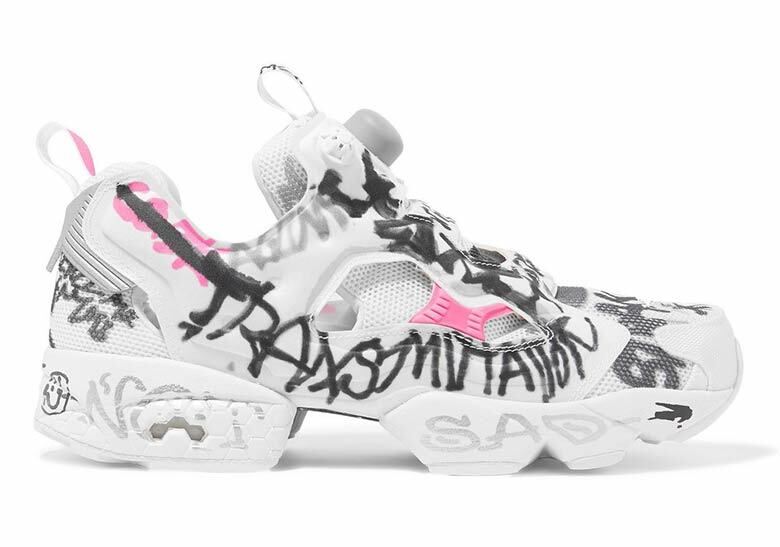 That same unique aesthetic has been extended to their several Reebok collaborations in the past, and now they’re continuing on with a new take on their outrageous hand-scrawled Instapump Fury. As the Fury is entirely unique and somewhat wild itself, it provides an apt canvas for the scribbled detailing. 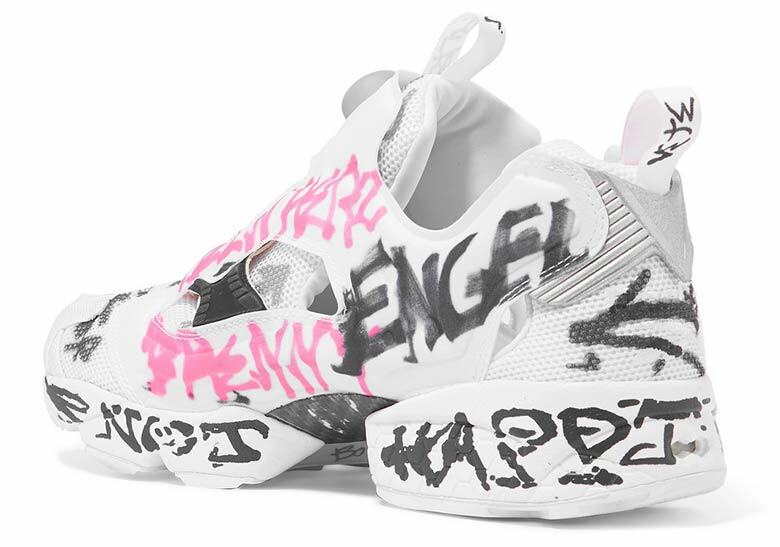 Calling upon a white base with pink accents, the Fury features grey, white, and pink gibberish haphazardly scrawled across the entire upper — and on the midsoles as well. 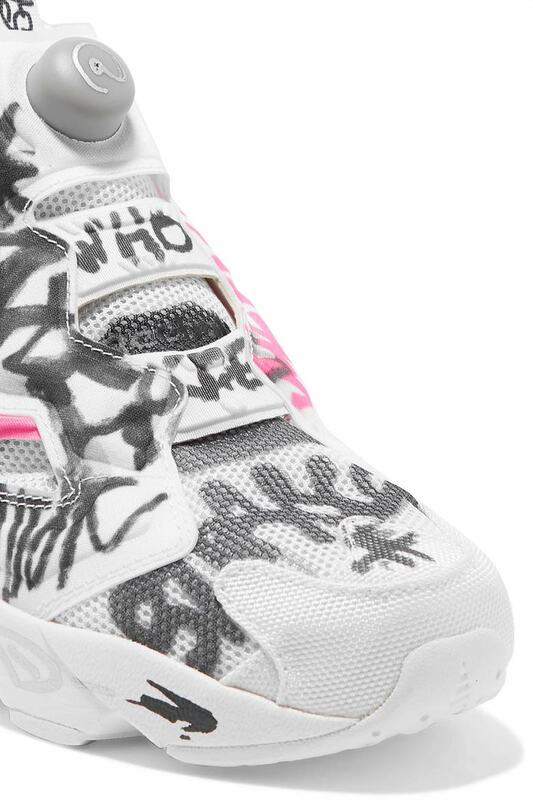 Each shoe then features a different colored Pump button, with the right shoe opting for grey/silver while the left shoe calls upon white/pink. These intentionally imperfect collaborative kicks are available now at the stockists listed below for a pretty penny: they retail at $990 USD.